This beautiful holiday villa is the perfect choice for an unforgettable holiday in Greece. It is situated It is situated in Agious Theodorous of Corinthia. This beautiful villa is situated in Nea Makri is only 30km from Athens center and 2km from the sandy beach. The beautifully decorated interior extends over 3 floors. This charming villa is situated in a magnificent location on the outskirts of the town of Agioi Theodoroi, 65 km away from Athens’ city centre. This holiday home is just 20m from the Prosily beach at Porto Germeno, in the Gulf of Corinth. You will discover Porto Germeno. Magnificent villa on 3 levels with special architectural construction, planted with trees in a quite area, in the beautiful coastal town of Porto Rafti. Luxury amenities. This charming holiday home benefits from a great location in the beautiful Golf of Petalion, 60 km away from Athens. This holiday apartment is only 35km away from Athens and is the ideal place for relaxed and peaceful beach holidays. The pebble beach is only 50m away and a sandy beach is 200m away. Located at the coastal village of Artemida, not far away from Athens airport, you will find this newly build holiday house. This modern decorated rental owns 1 bedroom with a double bed. This beautiful luxurious holiday villa is situated in Nea Makri, a seaside resort town just 30 mins drive from Athens International Airport. The house is elegantly decorated. This charming holiday home is located in Marathonas, one of the most historical towns of Greece and a very famous holiday destination, and only 45km from Athens. A tastefully decorated holiday house, fully equipped to make your holidays as relaxing as they should be. The house consists of 3 floors, having three bedrooms on the ground floor. This is a fully detached maisonette. The house comes fully equipped with swimming pool. 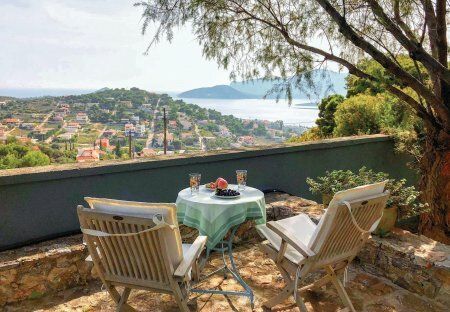 Splendid holiday house offering amazing views over the sea, with a beach nearby and many lovely sea front tavers to enjoy the Greek lively atmosphere. Greek holidays are all about the sun and the sea and when these two are combined with a swimming pool in a tropical outdoor area then we are talking about the best combination for your holidays. Holiday house in Artemida, just 8km from Athens airport. Discover all the treasures of the Greek capital, such as the Acropolis. 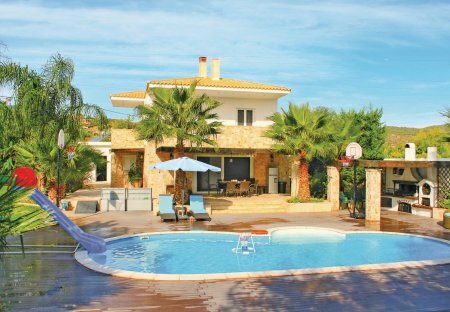 This recently refurbished house will be suitable for couples or families that wish to spend holidays throughout the year.